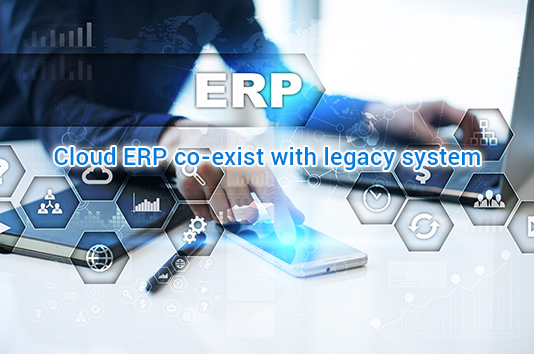 Early enterprise resource planning for large enterprises are the ones that find their cutting edge systems which are not nimble enough for the present business environment. They are the one which owe to the decade of customizations and will support the complex internal processes. Organizations today are facing the pressure of the new business models. Every now and then the models cannot be changed as this would disrupt the work of the organization. So there should be only one system installed as per your requirements and it should have regular maintenance. There is very little business that likes to have everything moving in the cloud. They shift their business to cloud with specific applications and services. The mid and small sized business generally shifts to the cloud with the core services such as emails and calendars, applications such as CRM. Over a period of time, businesses add additional applications and services such as file services and they host the legacy applications and the servers. Most of the businesses have a hybrid environment for on premise and cloud solutions this helps in creating a new need for integrating an existing system with the new cloud-based applications and services. The legacy systems should be able to send notifications, alerts and other messages. There are some legacy applications which will need to be based on the cloud that in turn will be used for data storing and sharing. As the need arises a direct sync up can be done. The business applications will need locations which will deliver the report and the automated output. The documents need to be linked to the documents saved in the file. The legacy applications which are responsible for the customer relationship management (CRM), functions such as sales, support, service, and marketing will all be synchronized to the contact information in such a way that the data will be lost or duplicated. It is the same for the ERP and the PSA systems. A CRM, ERP and the PSA systems sync up and manage the calendars and events. Avoiding duplication and the data lost is critical. The legacy system has ability for importing/exporting the data to the other system. The manual can be scripted at some intervals. Some system support the automated synchronization or they provide an interface for the real-time data exchange. When you are looking for different cloud solutions i.e. your current needs etc should be known before you select a particular service. What type of integration are you using and is it helping you? What are the integration capabilities that the legacy applications support which are not being used currently and are they helpful? What type of integration do you need that would make the business more efficient? What capability does the proposed cloud solution have for the integration and can they be leveraged? Is the cost worth it? All the above questions should be assessed and on the basis of this you can select a new cloud solution for your business. Take Inspirria Cloudtech as your secured cloud provider with decade plus of experience working with 450+ Cloud projects. Push productivity to its optimum level with proven solutions, which is used by the best companies all over the world.